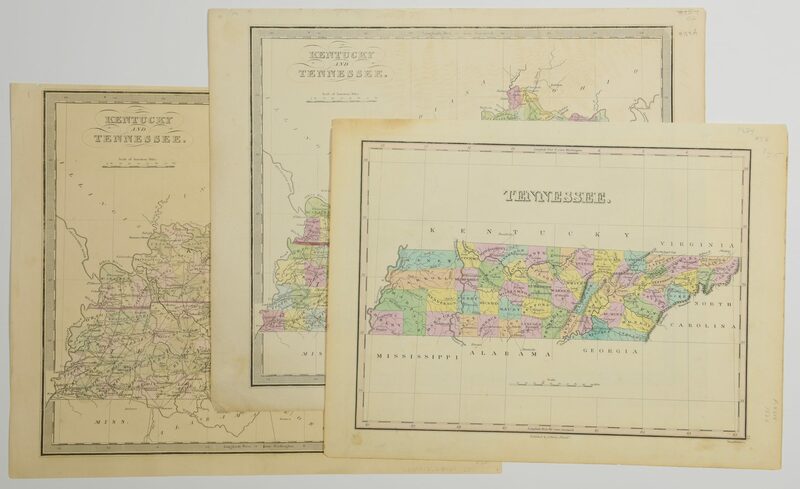 Three (3) Maps, 1 of Tennessee, 2 of Kentucky and Tennessee. 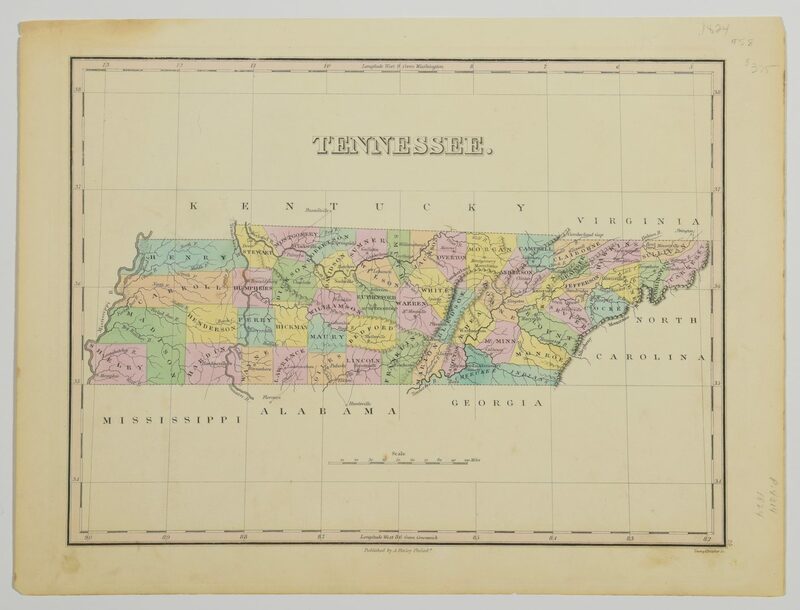 1st item: "Tennessee" map engraved by Young and Delleker, published by Anthony Finley, Philadelphia, 1824. 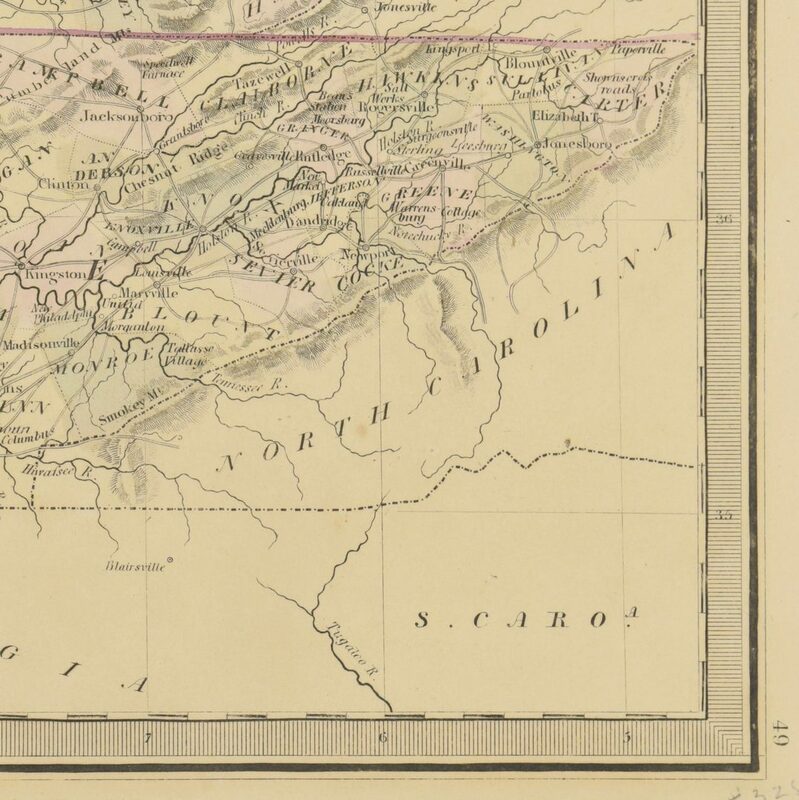 From "A New General Atlas, Comprising a Complete Set of Maps" by Anthony Finley. 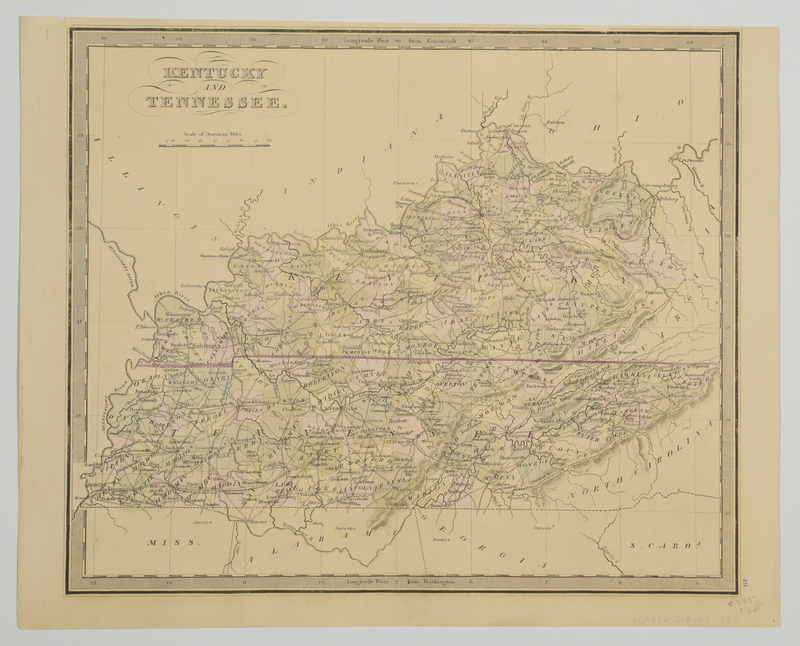 Colored map featuring Tennessee divided by county, with cities, towns, rivers, mountain ranges, and train tracks. Plate – 9 3/8" H x 12 1/4" L. Sheet – 10 1/8" H x 13 1/2" L. 2nd item: "Kentucky and Tennessee" map by Jeremiah Greenleaf from his "A New Universal Atlas" c. 1840s. 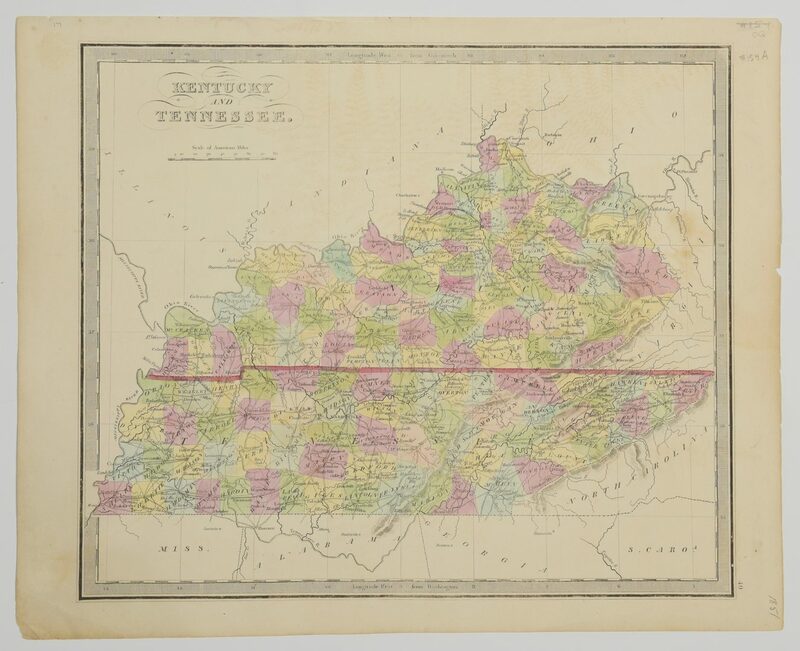 Colored map featuring Kentucky and Tennessee divided by county, with cities, towns, rivers, mountain ranges, and train tracks. 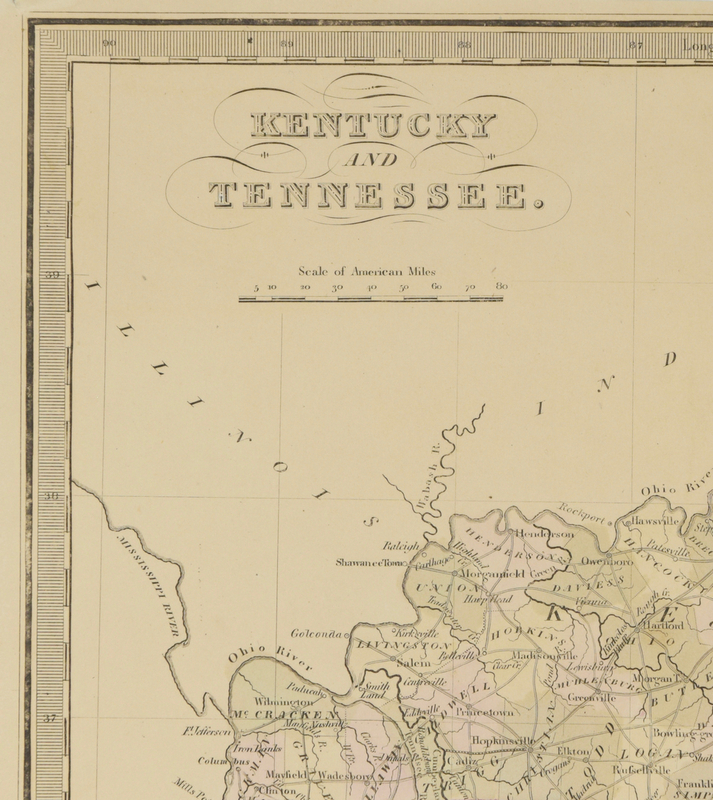 Image – 10 5/8" H x 12 5/8" L. Sheet – 11 7/8" H x 14 5/8" L. 3rd item: "Kentucky and Tennessee" map by Jeremiah Greenleaf from his "A New Universal Atlas" 1848. Faintly colored map featuring Tennessee divided by county, with cities, towns, rivers, mountain ranges, and train tracks. 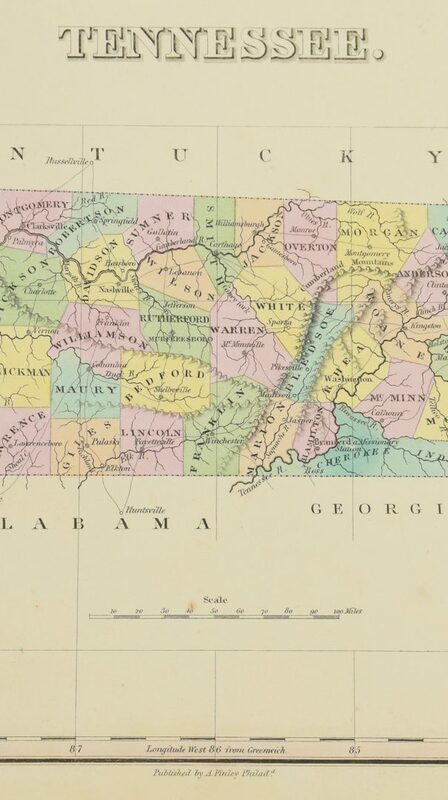 State line colored. Image – 10 5/8" H x 12 3/4" L. Sheet – 11 1/2" H x 14 3/8" L. CONDITION: 1st item: Toning around edges of map. Toning spots, 1/8" spot lower left and 3/8" and 1/8" spots lower right. 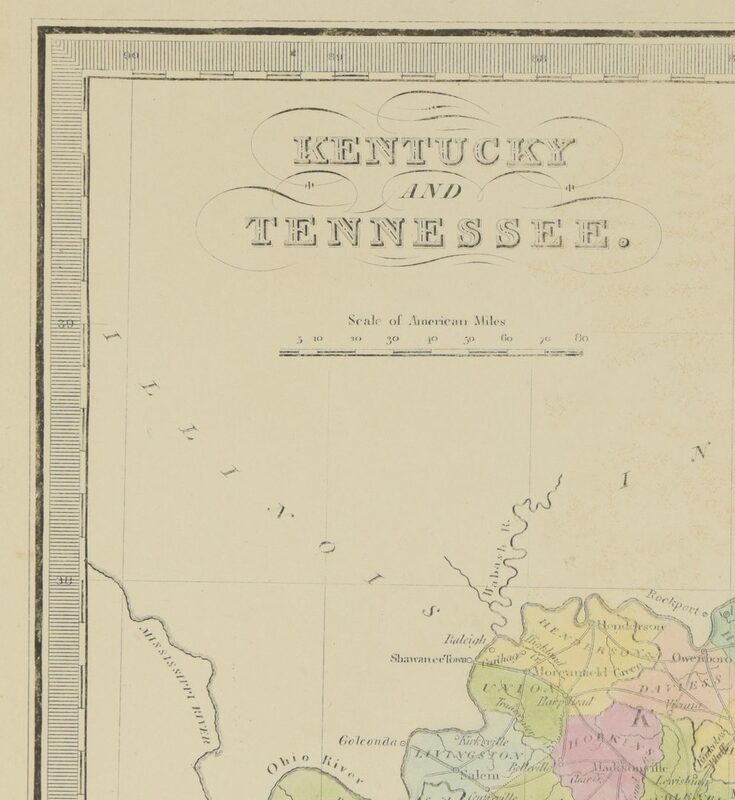 1 5/8" area of toning, 3/8" scuff, right en verso. 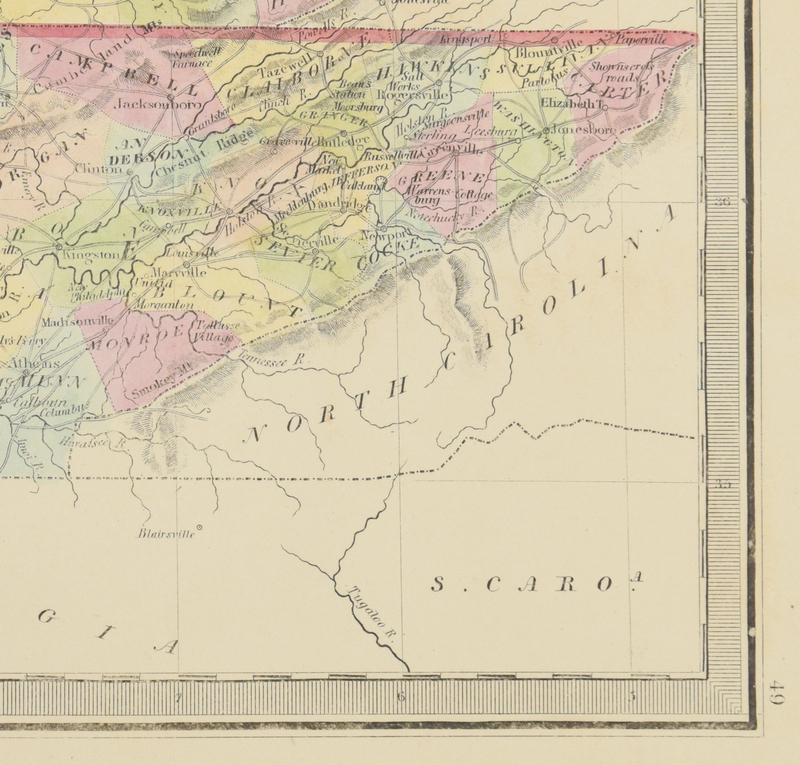 2nd item: Overall slight toning on surface and around edges, toning spots, right, corner wrinkled, lower left. 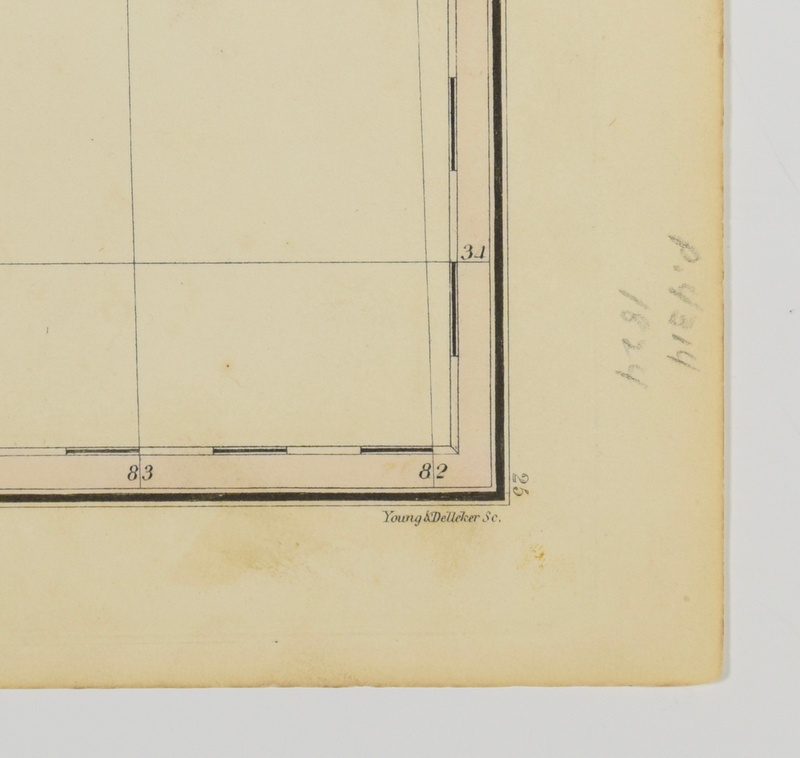 3rd item: Impression of foliage visible top area. Toning spots, largest 1 5/8" top middle right. 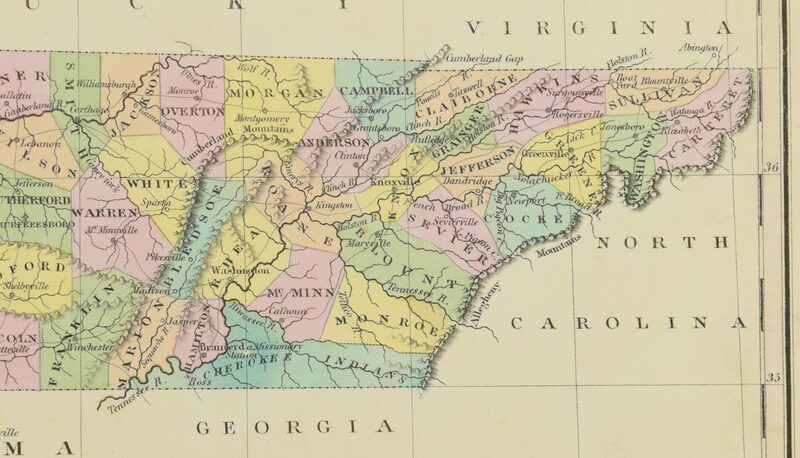 Slight toning on edges. Toning lines, longest 6 1/4", spots, largest 1 1/2", middle en verso.